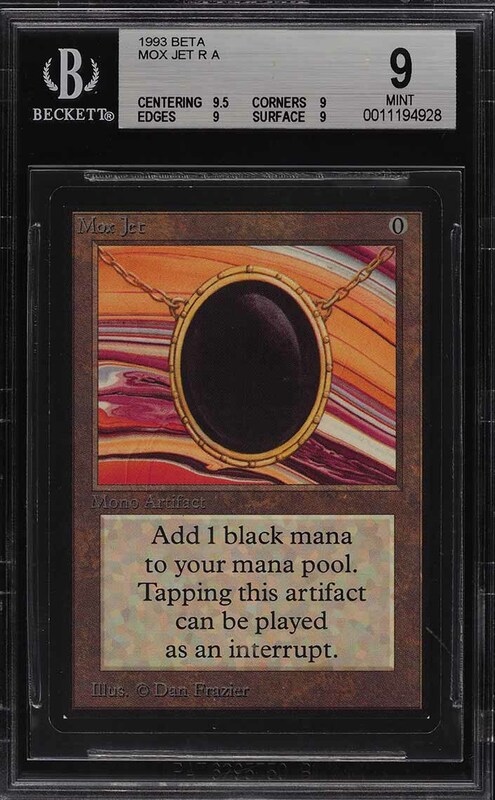 Up for bid this month is among the single most important and sought after Mono Artifact cards in the market. The Mox Jet is easily one of the most powerful cards in all of magic and sits among the elite as one of the coveted power 9. 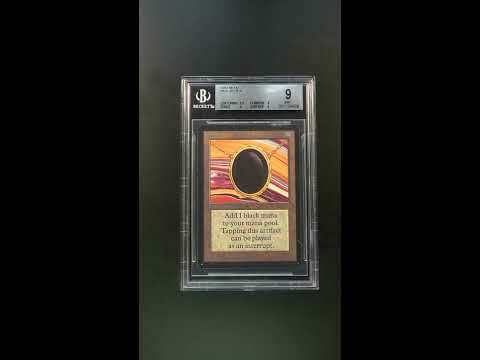 With the vast majority of these cards being actively used in decks, it's no wonder a card of this caliber rarely surfaces; even more so in such high-grade. Far too rare, this card represents just the ninth Mox Jet Beta example we've had the pleasure of brokering in our long tenure and is the finest we've brokered in recent months. 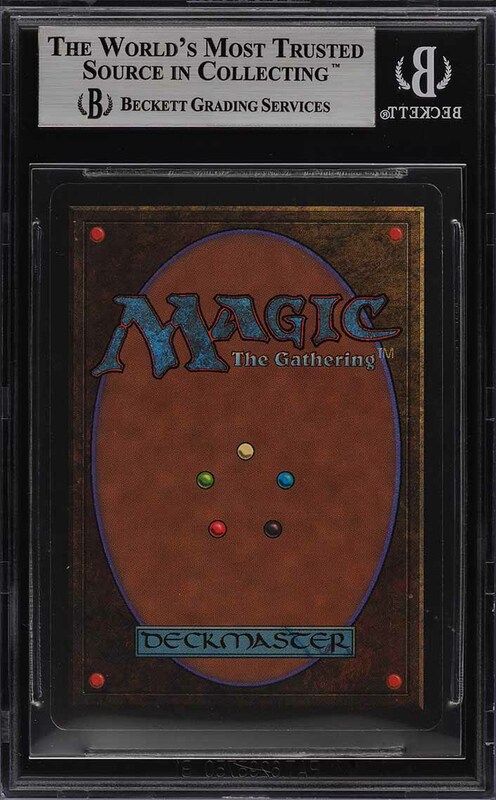 It's really no question that this card is among the most valued magic cards in the world and should be heavily pursued by any serious investor. This majestic BGS 9 is boasting with pack fresh eye appeal and tremendous GEM MINT centering. Shows high-gloss with mostly clean surfaces and elegant color. The corners are rock-solid and the edges are MINT. A premier magic/non-sport investment commodity which is sure to bring a quality return. Don't miss it. Part of a magnificent run of high-grade Magic The Gathering examples on the auction block this month. One of nearly 15,000 cards, lots, and sets up for bid in our 4th Auction of 2019. Click on the link above to view the other PWCC auction lots. The PWCC Vault is now live! Open a PWCC Vault account and receive a custom Vault shipping address. Purchases shipped to the Vault receive free shipping and reflect Oregon's 0% sales tax rate.